PRINTS of "Cascade" available thru my SHOP. For Archived Events Click this button. 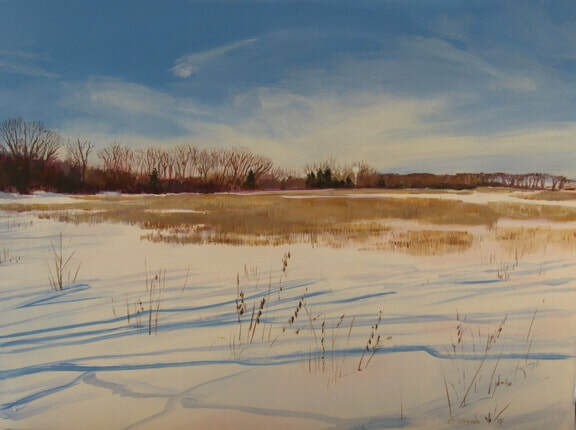 "Shadows (Prairie, 2)" acrylic on canvas, is currently at Centerfuse in Manassas, VA. Depicting the beauty of a restored prairie on the south side of Chicago. Would you believe this scene is just south of expressway 80 in Illinois? 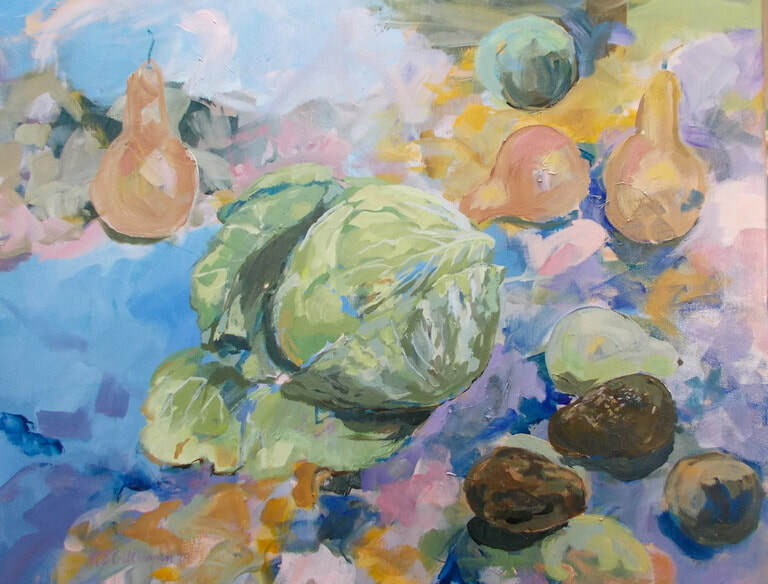 "Pear pair, Cabbage, Pear" (acrylic on canvas) is on view at the Springfield Country Club until the close of October. This painting was completely experimental and a departure from my typical work - thus, a lot of fun to paint. My recent work, "Receding Snow" oil on canvas, accepted into this month's exhibit. To be determined . . . please check back again. For now, please visit Arches Gallery at the Workhouse Arts Center in Lorton, VA or the Art League Gallery in the Torpedo Factory Arts Center, Old Town Alexandria to see my artwork in person. Each and every month find my work at these two galleries.